How to help save the environment? Go crunchy. Jared Nelson, assistant professor of mechanical engineering at SUNY New Paltz, determines fibers such as flax and hemp could hold the key to sustainability. 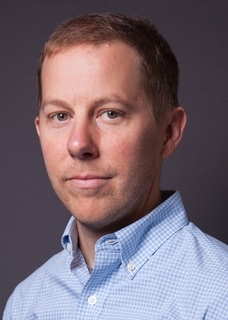 Dr. Jared Nelson is an assistant professor of mechanical engineering at SUNY New Paltz specializing in materials and solid mechanics with research focused on advances in bio-industrial materials toward realizing sustainability. He has spent nearly two decades contributing to the better understanding of material responses of fiber reinforced plastics toward development of improved engineered products. Most recently, he and his students have been studying variation in natural plant fibers to be used as sustainable replacements for synthetic fibers. He has also been a founder in the Bio-industrial Materials Institute (BMI) which endeavors to collaboratively understand the bio-industrial materials from bast fiber plants, their opportunities, and how to economically process them into useful products. The perils of a fossil fuel-based economy are woefully evident; however, fiber materials from bast fibers such as flax, hemp, and kenaf offer comparative reduction in energy and CO2 emissions when considering replacement of existing traditional synthetic materials. These materials achieve the nexus of sustainability by offering positive environmental, social and economic impacts. For example, increased usage of natural fiber materials has the potential to broadly impact farmers not only by adding crop diversity, thereby improving soil health, but by also adding additional, profitable crops into their rotation. To achieve ubiquitous utilization, a comprehensive understanding of these materials is needed to enable characterization, ensure competitiveness, and increase usage. A partnership between SUNY New Paltz, Union College, and RPI has led to the launch of the Bio-industrial Materials Institute (BMI). The BMI has the mission to collaboratively establish a comprehensive understanding of bio-industrial materials from bast plants (both hurd and fiber), their opportunities, and how to economically process them into useful products, through partnerships to increase their competitiveness and material use. By pulling together a large pool of collaborators who are experts in their respective fields, the BMI is working to develop standards and characterize these materials, demonstrate how to engineer products with them, and modify existing or develop new manufacturing processes. Toward this end, my research group is focusing characterization of the key factors of fiber performance. Because the fibers vary in shape and the processing methods result in additional structural variations, the resulting mechanical properties range widely. To better measure the shape, we have been using a laser micrometer to determine diametral geometry before pulling the fiber to failure. Using these data, we can determine many mechanical attributes and properties of the fiber that can then be contributed to the BMI where they can directly applied to industry and realized into sustainable end-use products.